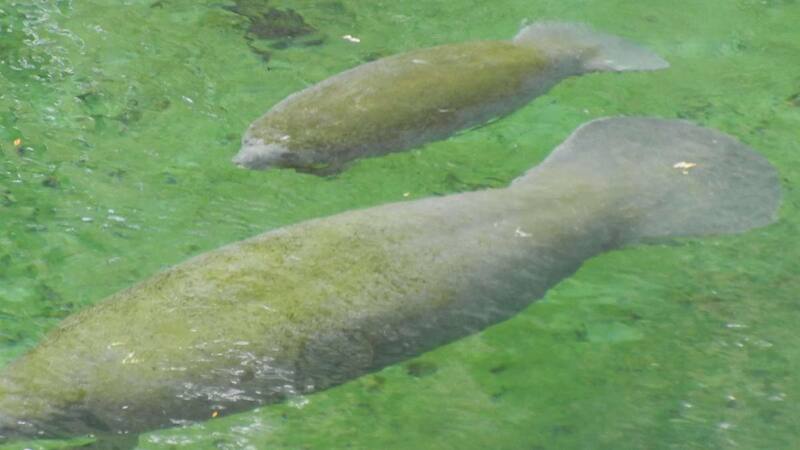 The brochure reads "Blue Spring State Park is the winter home to more than 200 manatees". This year that claim is slightly exaggerated. We saw 2, a mother and baby. 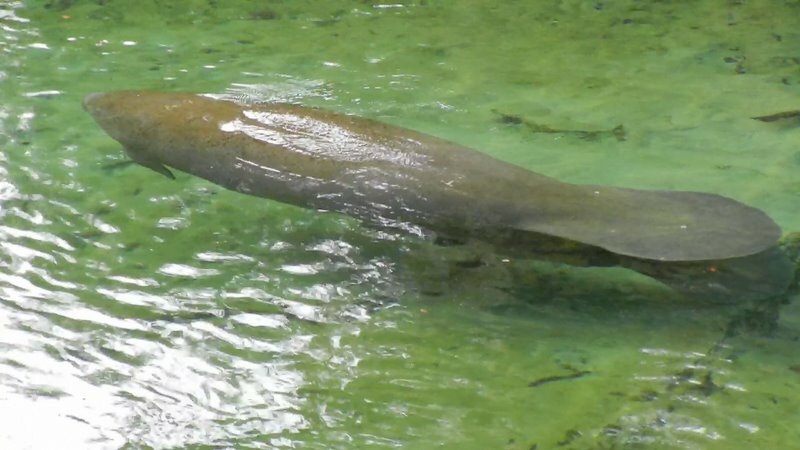 It seems that the warm weather has kept the St Johns River above normal temperatures and it is unnecessary for the manatees to seek out the 72 degree water from the Spring. Manatees can't survive in water under 60 degrees. Today it was 84 degrees in the shade. We were here in December 2007 and there were 172 manatees. I was all set today to put a magnificent video on YouTube, but 2 manatees just doesn't do it. Tomorrow we drive 250 miles to Fort Lauderdale.